In this new energetic month of June, personal power, will be one of the main themes, for in this phase of our ascension journey, we will be challenged to work with our personal life force, learning how to be confident, and how to direct our creational force into something that will help us to expand in the physical. It is the time for the masculine to manifest, not just material results but the anchoring of the new level of consciousness we are integrating, for ascension can only occur when we descend the concept of it into the tangible world we reside and where we truly can create the proper transformation required for us to evolve. This is a very special month, especially during the first two weeks, for the energies of June begins to build with a galactic align Full Moon at 8 degrees Sagittarius, on May 29, whose connection to the Fixed Star Antares, will create a cosmic portal, for us to anchor, in the physical, the stellar transmissions received, for this star - as its red nature reminds us - is also connected to the power of Earth, to the power of Fire, which represents our personal power and how we direct it. The creative, abundant and hopeful frequency of this new month is also confirmed by a Grand Trine between Jupiter, Neptune and Venus - a mystical combination that will help us expand our higher senses and connect to the depths of our being, bringing our soul creations into the tangible. The other confirmation of the essence of this month is its Universal number 8 - 17 reduced - for it shows us the subsequent outcome of consciously creating our desires, which is abundance and the bliss that comes when we finally master how to work with energy and bring into fruition what we need for our human journey, which is not always material things, it can also be the healing and the soothing frequency required for us to remain in our natural state of bliss and peace. Number 17 is represented in tarot by one of the most positive cards, the Star. This is a card of faith, of hope and of calmness after the storm. A card of creativity, inspiration and a higher connection to the cosmos, which is also another important aspect of this month for its Antarean connection, one that comes with the Full Moon in Sagittarius and whose frequency will remain with us for a while. On the other hand, number 8, is also represented by the fiery tarot card of strength – a woman holding between her hands the jaws of a Lion (sun) – representing the physical strength that can only come through the power of love, wisdom and balance, cultivated within. This is the perfect representation for the Wise Goddess of Love embracing fiery Leo, calming his wildness with her loving essence. The message is that all can be done through the power of love, all can be shifted and dissolved when our human self finally surrenders to a Higher Power that is within All things and beings, and lets it lead the way instead of forcing/moulding our reality with our egoic self who can only envision a small and limited view of what is truly happening. This is also a number that represents the infinite, for all is infinite in nature, and the only limitations are the ones created by our human minds, as it is the illusion of lack, coming from being immersed in a lower state of fear and separation. This is an opportunity for us to move inward and see where we still live in lack, where we still think that human resources are limited and can only come from the outside. For it is there where we begin limiting ourselves, by creating this same old story and by allowing its manifestation, in the physical. As always, abundance is another form of love, one that has to come from the love and respect you feel for yourself. If you do not feel worthy, if you do not feel you can create, all you need, by yourself, then, you will continue to experience lack. For when you love yourself, as another physical aspect of God, and when you value what you have to offer as well as you value others, the reality will respond with the same abundant and loving frequency you gave. We end May, a month of conscious creation, in the physical, that helped us to master our power and how we use it, with a revealing and hence, liberating Full Moon at 8 degrees Sagittarius. This is a Moon who joins fixed star Antares, alpha Scorpii, one of the so-called Royal stars, others are: Aldebaran, Regulus, Antares, and Fomalhaut. For they are considered the Guardians of the Heavens, as they are the ones who mark seasonal changes. As we also have the Sun with fixed star Aldebaran, alpha Tauri, we will experience this cosmic portal with more intensity. These two Stars are opposite each other. However, even if their nature is different, they work as One. This is an example of how different poles can work in unison for a Higher Purpose, complementing each other to create the proper balance necessary within Creation. This Moon is a very important one for the ones connected to this Star as well as for the ones who work on the conscious connection with these fifth and seventh dimensional beings that help many humans to understand their reality as well as to help us master ours. I know this star has both an astrological meaning and a mythological one. However, I will simply share the meaning behind all these human definitions as well as the guidance received. The nature of this star is said to be like the one from Mars, because of its red, fire nature. As I feel it, the Essence of Antares is one of courageousness, creativity, and a deep connection to the Divine, for this civilization is a highly evolved one connected to their hearts and always acting from an authentic and loving space. This portal with the Full Moon and Antares, will provide us with a tremendous influx of inspiration - and the energy required - for us to channel this creative frequency into something that will benefit our journey. This is not just some portal created in the heavens, it is something occurring here in our Planet too, as gridworkers will know, for Antares as well as Aldelbaran are connected to certain places of our Planetary network as well as with specific countries, as it is in the center of UK, connected, through the so called Dragon Lines, to the 7D timelines that many are beginning to work with, for working with Earth grids involves being constantly open to learn about coordinates, and all connecting points where we can have access to the higher codes required to descend this frequency into our Planet. This is also a wonderful alignment for those who are ready to connect with this civilization for these highly evolved beings assist humans to create beauty, to expand themselves, and to connect to their true essence. They are bringers of beauty and are connected to the ebbs and flows of the cosmos, so for the artists this will be another fountain of creativity and inspiration. 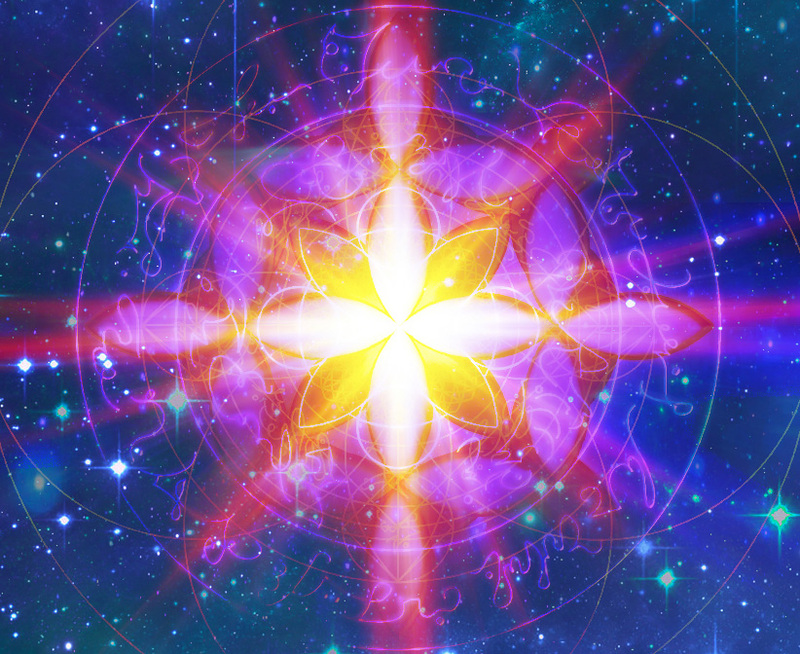 Antares's frequency is wondrous for those who are working on connecting to the power, and fire of their hearts, opening and committing to live from this same loving and compassionate space, creating beauty and expanding into new horizons. This civilization can assist us to bring harmony, balance and the manifestations that are aligned with our hearts. At this time of integration and deeper communion with our God Self and other galactic beings that we co-create with, in this evolutionary path of reconnection with our True Self and hence, God, it is vital that we begin to rely on the best source of all sources, our Unified or God Self, for there are many who instead of finding confirmation and /or the joy of co-creating with others, are still seeking answers from the outside which especially with highly evolved beings will not work, if it is not coming from a pure space of conscious co-creation, for highly evolved beings will not fall into our human egoic traps, which is why fake information or propaganda begins to spread, because one must first discern for himself/herself as well as finding the ones who have finally dissolved - all required - to receive such high-level guidance. For the ascending souls that consciously have chosen to be on this evolutionary path, self-sourcing, or the ability to descend guidance from their Unified Selves and/or their personal guidance team, is pivotal. A lot of people think that just being spiritual is enough, which to me, makes no sense, for we all come from Spirit, to begin with. It is not the same to be in a spiritual journey than to step into an ascension path, for the first, it tends to begin searching outside, rather than from within, which is one of the most important things on the ascension path - to have finally created a direct link, with our God Self, rather than keep searching in the lost places and from others - imagining that this will finally enlighten us. The deep communion that makes the process of self-sourcing possible is not only done by moving inward and wanting to establish this connection but by the conscious dissolution of all the patterns, fears, and doubts that impede us to connect with what is already a part of us. This process or opening comes when we master the egoic self, release old patterns, work on our DNA as well as in the proper deprogramming of all the 3D and non-human manipulation that we have suffered - for eons - and one of the main causes why many are not yet able to awake to their true potential. When we finally end with this basic healing process, then self-worth and respect, which must never be confused with narcissism, should be our next step. There are many who still see their God Self as someone or something separated from them, for they are not worthy of being One with this Infinite Source of Love and Wisdom, hence, they block this natural connection that we all possess. The two stages above are the most important ones for us to begin opening our human channel and connect with our higher aspects. Following these first phases, then there must be surrendering from service to the self, to All, or if we do not leave separation, our deep sense of judgement and polarization, we are only lying to ourselves, never to our God Self, and this deep communion can only be done when one holds a pure intention to be of service, to work not for the self but for All, for one begins to have a glimpse, a diminutive vision of what unconditional love and compassion is, as well as the feeling that one does not truly desire to follow an ego but that one only wants what our God Will desires, or we are already One with Source. When one begins to walk this path of assistance, one does not need, one gives, one does not only love what one considers of a high vibration, for one remembers the true nature of All. One does not beg love or depends on others, for one has already found this Infinite Abundant Fountain within. One never feels as if the other completes us, for we have already found all the love we tend to search in others, within. One walks in freedom, in joy, in complete trust and surrender and in love with All, without separation. And when this happens, all that seemed impossible, such as God speaking to you, begins to occur. As many of you have already experienced, since May, although there is never a fixed time, for each of us are unique, we are passing through a profound healing/cleansing or reset, of our body cells. It all depends where you are in your journey and what your body needs. For some, it will be healing, for others it will be about rejuvenating the proper purification - required - to continue with our process of light integration. Our body cells are the micro within us, we are their Higher Self, so to speak, and during this integration process, we are the only ones who can bring healing to them, for others can only assist, but our body cells will only respond to us, for we are in charge and the only ones with the power, to bring transformation to our bodies. It is essential that we are aware that ascension - or the transformation that we are experiencing into crystalline beings - is not occurring without our conscious participation. It is not something that comes from the frequencies we are receiving, and we simplymust be. We command, direct and balance these higher codes, taking them to dissolve our body blockages, speaking to our bodies, telling them where they need to release and anchor these codes, and speak to them as conscious micro-organisms. When we focus on others healing us, when we do not feel talking to our bodies - then healing cannot occur for what we are doing is giving our power to others, so others do as they wish with ourselves, and when this happens, we stop directing our lives, and allow others to reign. This passage is about power, about the need for us to be fully conscious of where we put our inner force and how we become one with this Infinite Fountain of Healing and Love, that dwells within us. As we are also receiving many frequencies from our Sun, we need to understand how the different frequencies are meant to operatewithin our bodies - if we choose to integrate them. The frequencies emitted by our Sun are meant to dissolve what no longer servesand to help us purify ourselves in becoming empowered beings. They help us work with our light-body as well as working with our DNA, bringing release of old patterns and activating, again, our true Adamic DNA strands. On the other hand, the stellar frequencies received from other star portals, as in the one experienced with the Antarean portal - at the Full Moon in Sagittarius on May 29 - are meant for us to open our higher chakras, to receive cosmic wisdom and for us to consciously co-create with our star team - or other beings/forms of consciousness - that by soul contract - because they belong toour direct soul family or simply by mere resonance are willing to show us more - of the little we know - within this vast and infinite Universe. Being aware of how these different frequencies are felt and connecting to them - to find their true purpose - is vital for us to know what we are integrating and directing - in the best way they can serve us - and not just receiving them as simple codes, meant to work by themselves. To be able to integrate - these higher frequencies - there is some inner work to do before this cellular healing process can proceed.Some of the things to work with so the process of bodily transformation will succeed are: Polarity integration, working on genetic karmic lineage, clear unresolved trauma, debris, and working on DNA reconnection, at the same time we release from our body cells. Neurological ones: Ears noises (ringing etc), dizziness, headaches, shivers etc. Seventh and eight chakra sensations: due to the amount of new guidance that is there for us to descend and anchor. As always, we are all unique and only by knowing ourselves, can we discern what our bodies are telling us. When we are challenged by these physical sensations, the best is to come back to the zero-point - state of being - which is always one of perfect balance and unity with All and to always be compassionate with ourselves and help our bodily transformation - process - as consciously, and aslovingly, as we possibly can. This new energetic month of June begins, for as you already know, beginnings and endings are intertwined, with the Full Moon in Sagittarius on May 29, whose frequency opens the passage that will be experienced for the month of June. This month is also focused on the physical, for this second part of the year is for the masculine to make tangible what the feminine once created. However, this is also a month to descend - and ground - within our body, all the frequencies we are receiving from the Illumined Realms - that need to be anchored. As a confirmation of the creative, abundant and expansive energies that June brings, this month, in numerology, is a Universal 8 - 17 reduced - number. We have a message of creativity, boundless resources and expansion within this transitional phase. For this is what we - as souls - are experiencing, an endless expansion towards the reunification with All That Is. The frequency coming from the infinite magical number 8 gives us the courage to give birth to our inner worlds and to anchor them in the physical. This month will show us where we create plenitude and where there is absence. It is an opportunity to create synthesis instead of separation and to bring love, and empowerment, to all aspects of ourselves and physical life, to manifest a prosperous reality. There are many who are still living in lack, not knowing why they do not have more abundance. As I always say, if you desire more abundance in your life, in any possible form, but you are not loving, respecting and honouring who you are and what you do enough, then you will not be able to surround yourself with the abundance that you already are, because you are the first one not recognizing it. Observe where you create limitations. All limitations come from our human minds. Witness when you have a strong soul desire to make tangible and your lower self tells you that you have not enough, for abundance is infinite as well as the nature of your essence. Every time you lower yourself, every time you tell yourself something is not possible, you are creating more lack. Every time you stand tall and walk on this Earth in deep communion with the Divine within you, knowing you always have all you need, loving everything that you are meant to experience, without any judgements, you are loving, and hence, you are creating abundance. The choice of what you need to experience at this moment, is always yours. At a planetary level, we begin this new month with no important planetary alignments, for during the first weeks the Full Moon in Sagittarius as well as other cosmic frequencies will still accompany us, until late on June 12 with Mercury entering Cancer. In the next day, we will also welcome a New Moon at 22 degrees Gemini. This Moon has no major planetary alignments but instead it is influenced by eight fixed stars. This Gemini New Moon will be a huge fountain of energy, joy and magic, bringing initiative for those who are ready to embark into new projects. This will be a very galactic Moon as well for its connection to Orion’s Belt as well as the many other stars it harmonizes with. This is one of the many signs that our Planet is finally, as it was in the beginning, a galactic one, beginning to align with the cosmos, a connection that was once cut, by the many negative forces. On June 16, we have another semi-square between Uranus and Neptune. This is an embrace between the masculine essence of Uranus and the feminine one of Neptune, reminding us the importance of creating synthesis between both polarities. Uranus is an awakener, and as such it will awake the feminine within all of us, propitiating the coming of the lost feminine essence on our Planet, something that is already occurring, and as Uranus is in Taurus it is going to bring deep transformation in the Planet, where change is very needed. On June 18, we have two important cosmic events. On one hand, we have, Neptune, the Planet of Illusion and Intuition, turning retrograde in Pisces, and on the other we have Saturn quincunx True Node. With Neptune retrograde, we have the opportunity, among the earthly energies from this month, to navigate between our inner realms, bringing to the surface what was hidden and unknown, and that needs to be healed. We may fall into delusional feelings as this Planet does not guarantee us being saved when we choose to dive deep into its Waters, which represents our unconscious, our dreams and soul visions, and everything we would like to manifest - and enjoy - in the physical but that sometimes our lower self can only dream about. This is an opportunity for us to use our power to break free from all the illusions of victimisation - that our human self creates. It is a time for us to sink into the depths of our being, recognising illusion and surfacing with a greater clarity of authenticity. It is a perfect moment to clear our emotional body of the old and discern if our feelings are coming from a higher place of love, compassion and integrity - towards the self and others - or if we are still basing our desires on primary and egoic emotions that neither serve us or/and the Whole. On the other hand, Neptunian energies also give us creativity and the gift to expand our intuitive abilities, communing with our Unified Self, to retrieve ancient memories buried deep within our DNA and that are ready to see the light, again. The other important event is Saturn quincunx True Node. Saturn the so called Planet of Karma, which I prefer to rename as the Planet of Responsibility, inconjunct to True Node, which is all about your true soul mission, your destiny, what is yet to come, is asking us to move out of our comfort zone and if we really desire to step into a new path, to leave behind all fears, doubts and everything that is impeding us to evolve and expand into new horizons, that may not be known but that is what we are meant to experience next in our human journey. This is call for all who are procrastinating to stand tall in who they really are, doing what they know they came here to do and be. On June 21, the Sun enters in loving Cancer together with Mercury. Simultaneously, we will also welcome the Summer Solstice for those who live in the Northern Hemisphere and the Winter Solstice for those residing in the Southern one. The Solstice waves can cause a huge impact in our inner being and physical vehicles, as it is helping us in purifying more layers of our old self, as we continue to embrace a Higher form of existence. This Year, the Solstice, will help us in our conscious journey towards this new dimensional passage, and its potent frequency will be accompanying us for the rest of the summer. On June 26 Mars will turn retrograde. As you may already know, I do not believe in retrogrades for they are an illusion from Earth. I do not resonate with the traditional meaning of retrogrades doing anything to us, for this is the limited, in my humble opinion, meaning that has been given to them, from a human perspective. They are a living organism in themselves and to me Mars in "retrograde" it is not telling us we should not act or initiate something new. On the contrary, it is asking us to begin doing it from within and to ask ourselves in what are we going to use our power? Are we going to create something that empowered us or that gives our power to others? It is all about learning how to direct our inner power and choose whether we desire to give it away or to use it to become sovereign beings. If we say we are ascending and yet we still believe these Planets in slow motion, so to say, can cause challenges into our human experience etc. then we continue to give our power away to outer forces that are not there to rule our human existence, for no one else but ourselves has this power. We end this powerful month with a Full Moon at 6 degrees Capricorn on June 28. This is a Moon highly influenced by Saturn, its ruling Planet, and hence, focuses on self-discipline and responsibility. This is asking you where you still restrict yourself or where you set no limits and need more discipline. Are you too practical? Or are you living in the ethereal without taking responsibility for the physical world and your actions? As always, balance is the key, and if we do not create harmony in our earthly plane, then the ethereal by itself will not sustain and nurture us. Both planes are equal and essential for us to experience a balance and an abundant physical experience. In a month whose focus is about power, our main aim shall not be in what is happening outside, in the stars, in others, but within us, where all is constantly shifting and from where all the physical worlds we see emerge. Power has nothing to do with oppression, with monetary status, with luck or with any other 3D fake premise. Power comes from loving, respect and honouring, always, oneself, knowing that by doing so we are loving the Divine Presence within. Power is our most precious treasure, for it is our life force, our energy and conscious intention. Where we put our attention, we are starting an exchange, a co-creation with someone or something, for co-creation is the nature of all that exists, therefore, we must use our power wisely, knowing the external does not rule our lives if we do not give it this power. If you desire to become a sovereign being, stop fearing your true magnificence, for all that scares you is your power and what you could do with it. If you begin to move away from all that disempowers you, soon, you will realize that all begins to change. In the moment you choose to honour who you are and what you are here to offer, with unconditional love to All, in this same moment, your entire existence changes, and you pass from a state of confusion and manipulation, to a free, empowered one. All begins to change when you begin to release your own frequency, nurture yourself from it, for you need no one else to feed you. For when this occurs, you will be no longer obtain sustainability from external situations or people, for now you are your own empowered source of all you ever need, living not in dependency but in conscious co-creation with all that exists. I wish you all an empowered and blessed June, Beloveds!